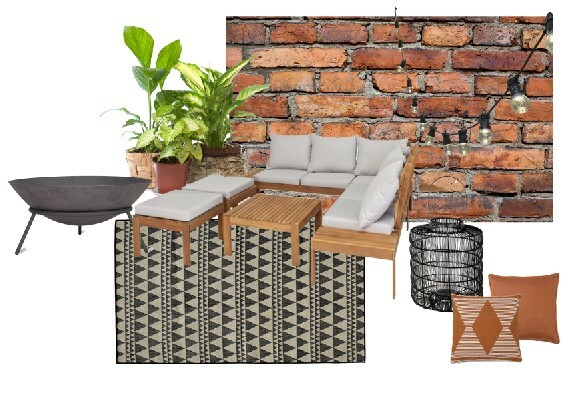 I thought I'd share some plans for our garden - it's been a long time coming and the red bistro chairs that were originally bought as a gift when we had the tiniest of courtyards now look ridiculous in our reasonally sized garden. The Brick Walled extension and Bojangles of course! 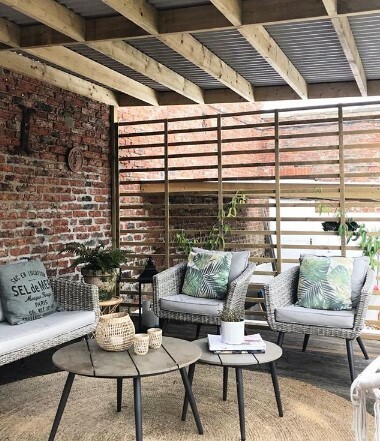 Back to reality - my kitchen extension gives us a nice brick wall, albeit with some weird black paint marks but it will act as the backdrop to the furniture. Originally the plan was to build furniture out of pallets but I've given up on that idea - neither of us can be bothered! So we have purchased an 8 seater corner sofa set from Argos. 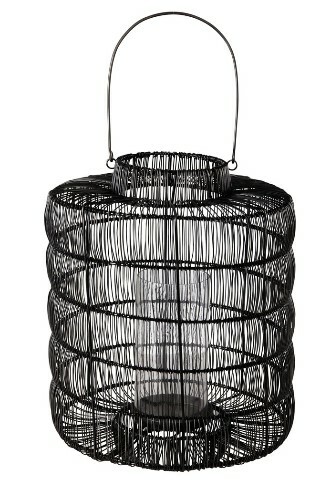 It hasn't arrived yet so I've no idea on the quality but I fell in love with it and with £100 off, it was meant to be! Hopefully. Next on the list will be some festoon lights that I will drape along the wall. I love these from Festive Lights so shall be purchasing as soon as payday arrives! 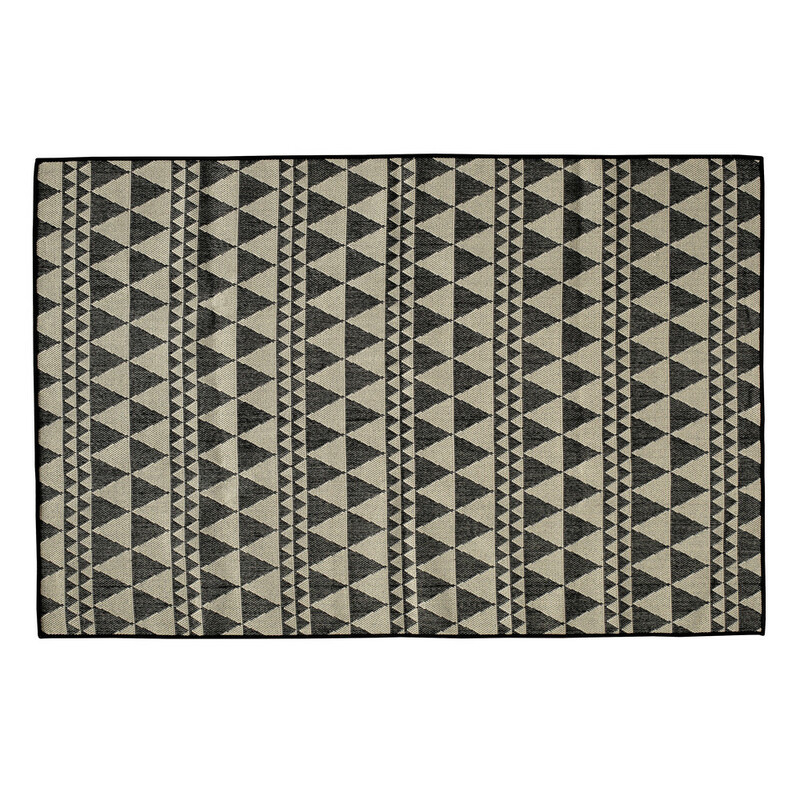 Also outdoor rugs are everywhere right now and while they probably are very impractical, they look good so I will be purchasing! This adds to the layering I was talking about earlier - textiles are the easiest way to add depth to any space. 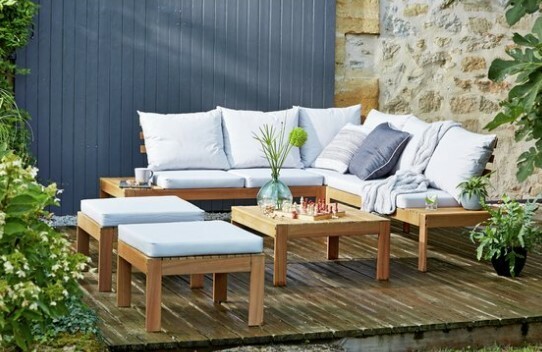 Anyone else loving the collaboration between Maison Du Monde and Debenhams? They have such a big space in the Manchester Arndale store - it's my new favourite place. I've only ever bought from them online before so it's great to actually be able to see the items in person. Also on the wishlist is a fire pit to keep us warm in the evenings. This Garden Trading one is a beaut and not the most expensive one I've seen so it's a possible maybe. H&M is a still my favourite place for cushions that are good quality and really reasonably priced. I'm still very much obsessed with rust colours (my hair is currently a shade of copper) so these cushions will fit perfectly. And finally all we need now is some hardy plants that will survive on their own because lets face it - I am not plant material. 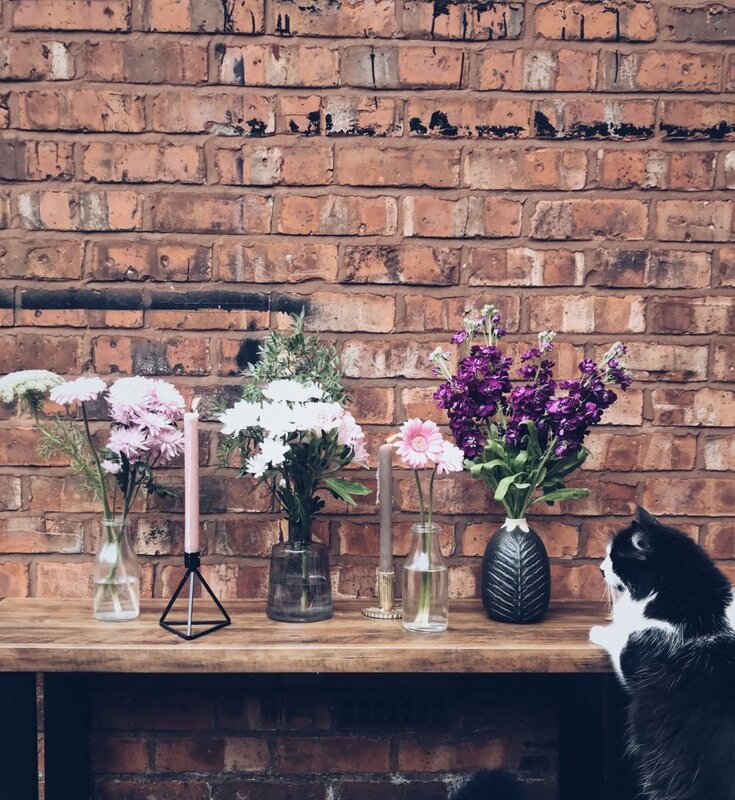 Cats I can do, plants just don't agree with me! Stay tuned for a garden reveal when it's all finished!